The Art of Cheating 2: A Little Help From My Friends! Most vintage gamers prefer to play video games as they were intended, trying over and over to get just 1 more level and feel our hard work has paid off. Others will only try so many times before they pull out an old issue of Nintendo Power, look up a walkthrough, or find cheat codes. For the rest of us, and even all of the above, there was the Game Genie, Action Replay or Game Shark! The main function of these devices is to alter the game’s coding so that we don’t have to struggle. Sometimes, with a little fiddling around, codes could help us forget about our struggles by completely altering the game in quite interesting ways. From infinite exp, gold or levels in an RPG, to allowing Mario to swim through thin air and complete levels untouched, these cheating devices offered endless possibility and helped many gamers beat a game, while all their friends were struggling to beat the game the intended way. Ha, losers! As far back as the Commodore 64 days, cheating devices have been on the market. When the home console market started heating up many companies decided it was time to step up to that market and throw their name into the ring. I don’t own them all (I wish I did though! ), but I will be going through the cheat devices I do own (or have owned) for each console and giving them a quick review. One of the earliest Game Genies I owned was for my Game Boy, which came with a little code booklet that had such small print it was almost of no real use. It also came with stickers that you could place on the back of each game and punch in codes at a glance. When the Game Genie started up the user was prompted to enter codes, meaning if the game you wanted to use didn’t have any stickers or wasn’t in the booklet, you were out of luck. 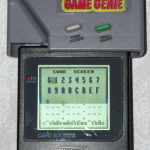 This Game Genie works universally with the DMG, Game Boy Pocket and the Game Boy Color, but it will not work with the Super Game Boy without modification. 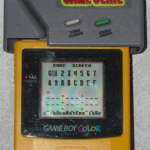 Even though Game Boy Color games fit, they blank out the screen on the Game Boy Color. 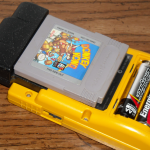 They do seem to work on the DMG and Pocket, but GBC games won’t work on that hardware anyway, leading me to assume Game Boy Color games will not work with the Game Genie. 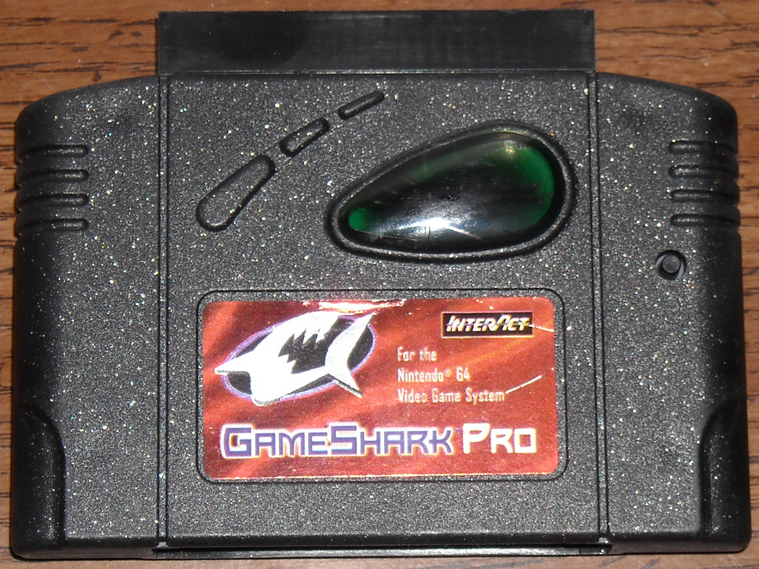 Many years later I acquired a Game Shark Pro, which encompassed both the Game Boy and Game Boy Color library of games. 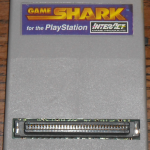 Although a little unorthodox in the way you connect the cartridge, the Game Shark was far superior to the Game Genie, in that it offers on-board memory to store cheat codes, as well as allowing the user to remove or even input new codes/games into the Game Shark’s memory. 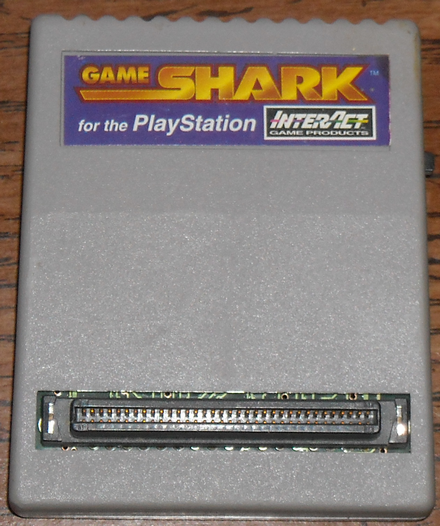 Unlike the Game Genie, the Game Shark will work in a Super Game Boy, but due to the lack of a notch for the power switch, it will not work in an original DMG. The only cheat device for the NES I’ve ever owned is a Game Genie, but I do believe there is an Action Replay out there for the NES as well. The Game Genie for the NES was released in two forms, that I know of, black and gold, which are simply esthetic differences and have nothing to do with performance. 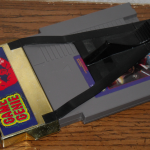 The Game Genie was very straight forward in how to use it with the old NES box design, but if you own an NES top loader you will notice that the Game Genie is almost impossible to get in. With a little force it will work, but once it is within the console it is extremely hard to remove. 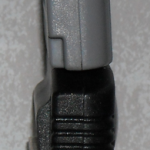 Galoob did remedy this with an adapter, which has become too rare for me to ever find. As with any Game Genie, all codes were punched in manually and if the game I wanted to use wasn’t in the booklet, I was out of luck. Sometimes I would get additional codes from kids around the neighborhood, as well as punching in random codes to see what the results would be. I mostly enjoyed my Game Genie with various Super Mario Bros. and Super Mario Bros. 3 codes, to completely alter the game. 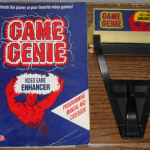 Anything from changing the background textures or enemy textures, to allowing Mario to walk over pits and walk through obstacles and enemies alike, the Game Genie produced amazing results in those two games. Again I must confess the only cheating device I’ve ever owned for the SNES has been the Game Genie, but I believe there was an Action Replay available for it and/or the Super Famicom, I’m not completely sure. 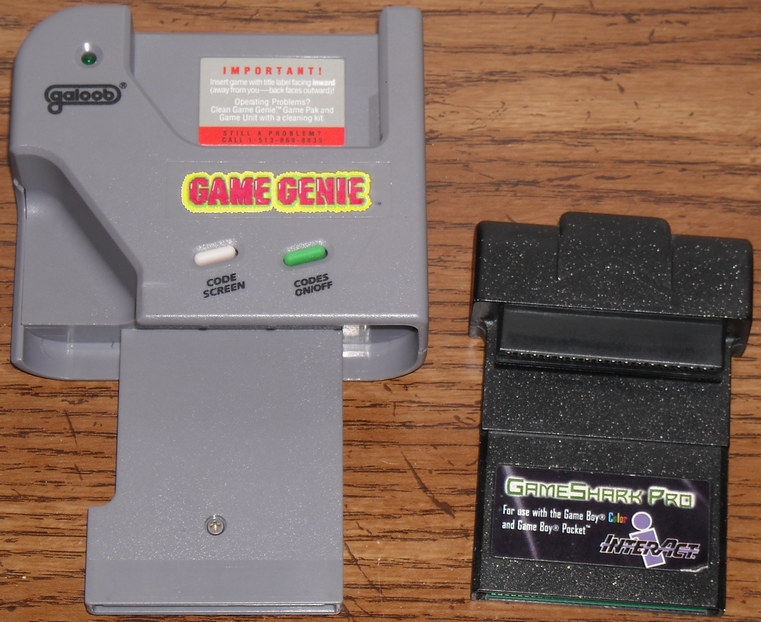 The SNES version of the Game Genie was much like the NES version, as all you needed to do was piggyback the SNES cartridge on top, plug it all into the SNES and away you went. 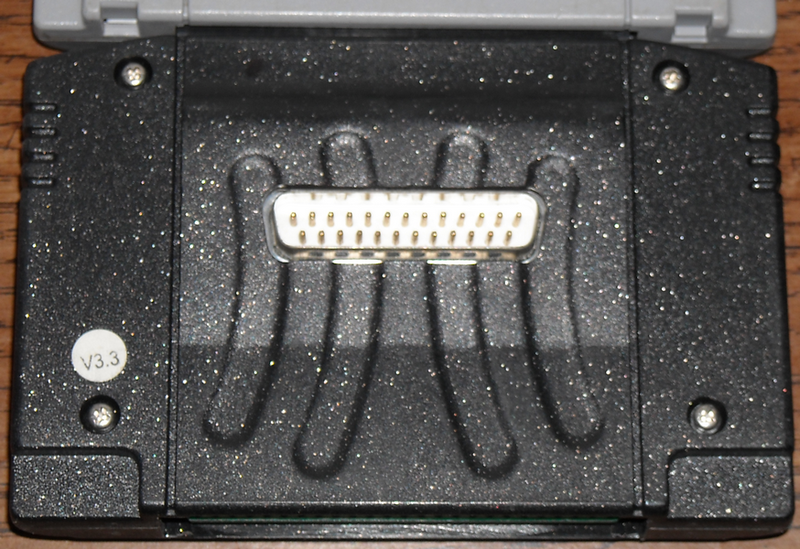 But sadly the Game Genie didn’t come equipped with the spare connectors that are used in games that utilize the Super FX chip. I’m not completely sure whether this affects using these two in combination, but I’m pretty sure those are essential and would indeed cause problems. Another downside is that during the lifetime of the SNES, Nintendo got wise to all the game copying machines that were prevalent in that era. 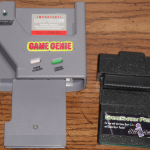 To stop these devices from working, and subsequently the Game Genie as well, Nintendo put a security measure in place that will prevent some games from loading correctly, if they detect they’re not connected directly into the SNES console. This means a lot of games, such as Killer Instinct, that you would like to use Game Genie codes for simply won’t load, defeating the whole purpose. 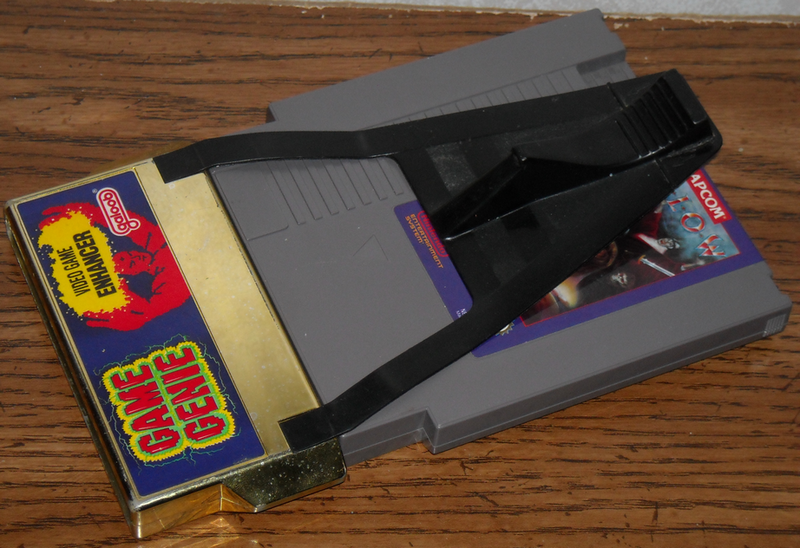 By the time the Nintendo 64 rolled out, Game Genie had become but a memory and left the other two devices to rule the console cheating device market. 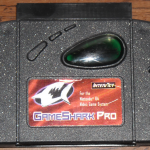 For the N64 I own a Game Shark Pro v3.3, which offers all the on board memory goodness that I’m familiar with in the Game Shark product line. 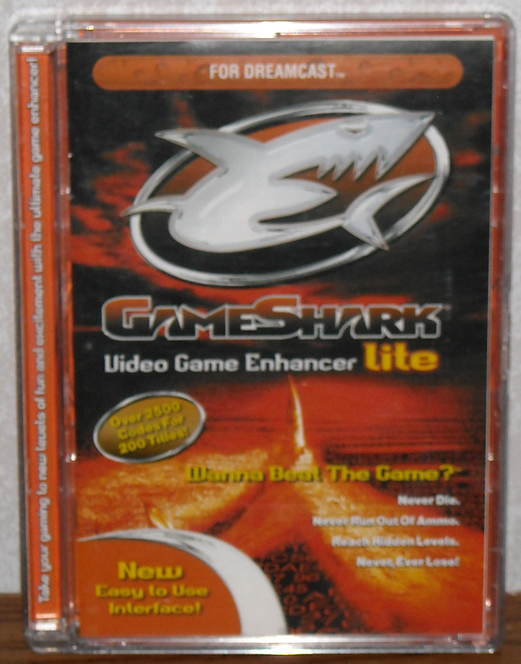 Also by this time computers were becoming more prevalent, so the Game Shark offers a connection port on the back of the device, allowing for updates. 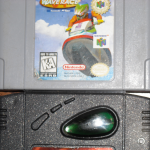 The N64 Game Shark Pro doesn’t allow for the comfortable, snug cartridge connection that I’m familiar with in all my other cheating devices, instead of function they went for form. 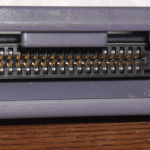 This means the cartridge doesn’t always align properly, feeling very flimsy once its all put together, which often forces me to reconnect the game cartridge and the Game Shark to get it to function properly. 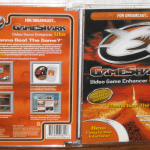 Apart from the occasional need to reconnect the game cartridge I haven’t had many issues with the Game Shark, but I have heard many of them suffer from numerous problems and are often completely nonfunctional. 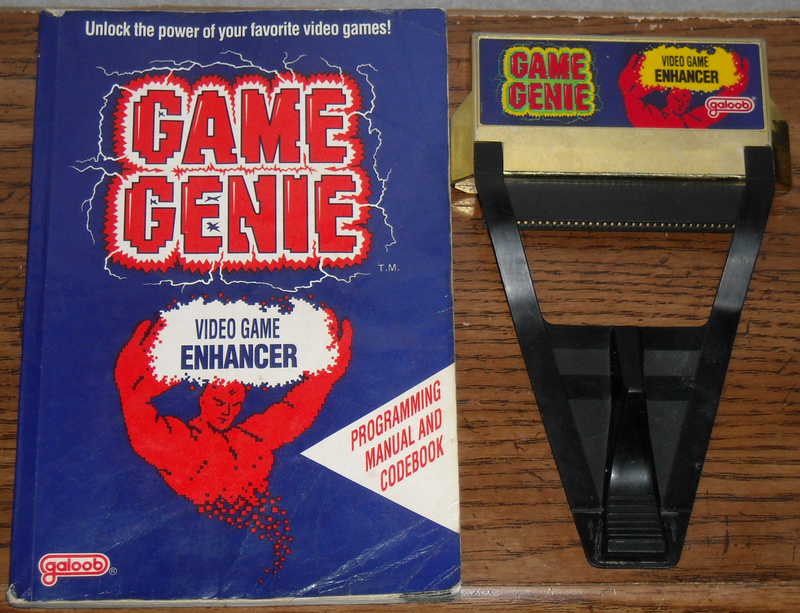 When I got my first Sega Genesis I had to find myself a Game Genie, so I did. Operation is the exact same as all the other Game Genies (punch in the codes and go! 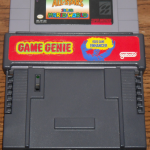 ), as well as offering the familiar snug and comfortable fit between cartridge and Game Genie. I no longer have a Game Genie for the Genesis, so this means I can not offer pictures of it, but there is always Google. 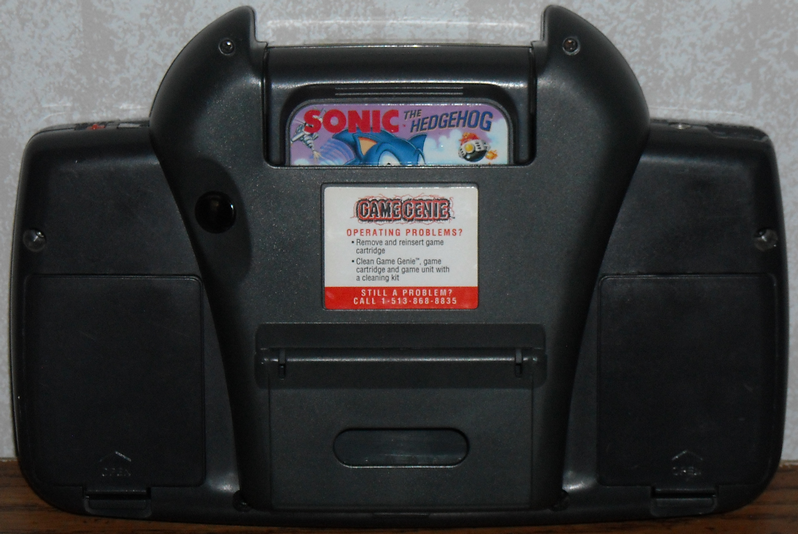 The Sega Genesis version also came in 2 variations, that I know of, black label and gold label, again purely an esthetic change and nothing to do with performance. 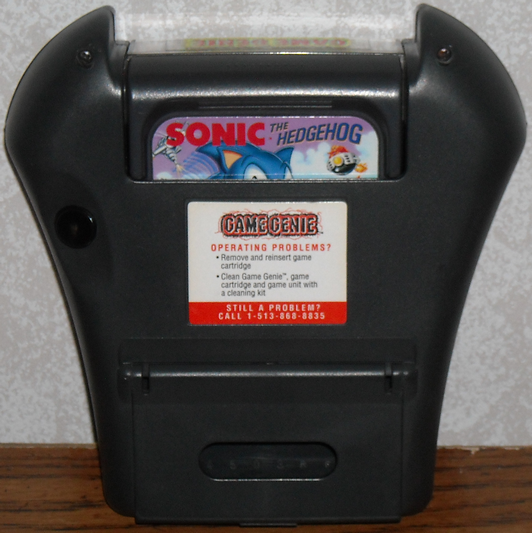 The Game Genie works with both the Sega Genesis model 1 and 2, but does not work with the Majesco model 3, which is a hardware limitation of the console and not the Game Genie. From what I understand this can be rectified by adding a few wires within the console to connect the points that need to be made for the Game Genie to work. As I’ve never owned a Nomad, or any other portable Genesis device, to test it with, I can not confirm or deny whether it works with any of those. 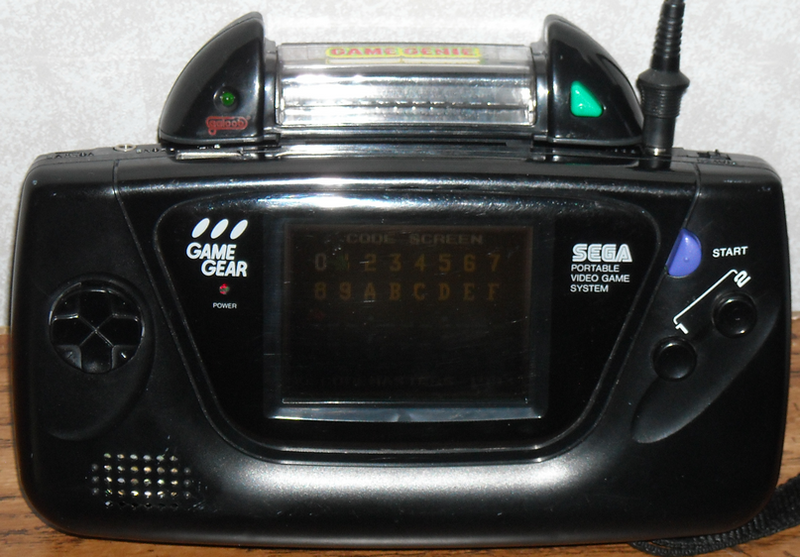 Just like the Game Boy, the Sega Game Gear had a Game Genie as well. 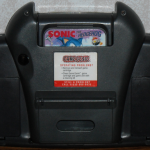 This one also had a compartment for a little code booklet, but unlike the Game Boy version the games actually went in the correct way around. 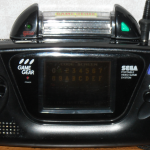 My only real complaint is that once the unit is fitted to the Game Gear it becomes slightly difficult to properly plug in the power supply, which is almost vital for using a Sega Game Gear at home. 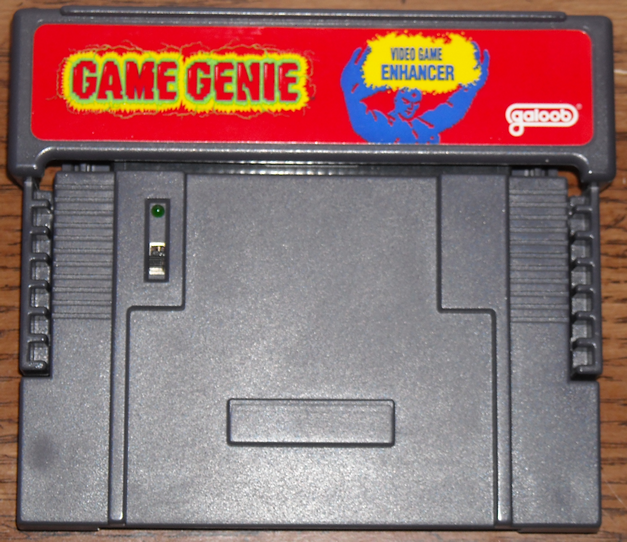 This version of the Game Genie seems to prefer loading the games first, requiring the user to hit the green reset button on the Game Genie to boot to the code entry screen. But once the Game Genie begins to boot you are greeted by a voice saying “Game Genie!”. 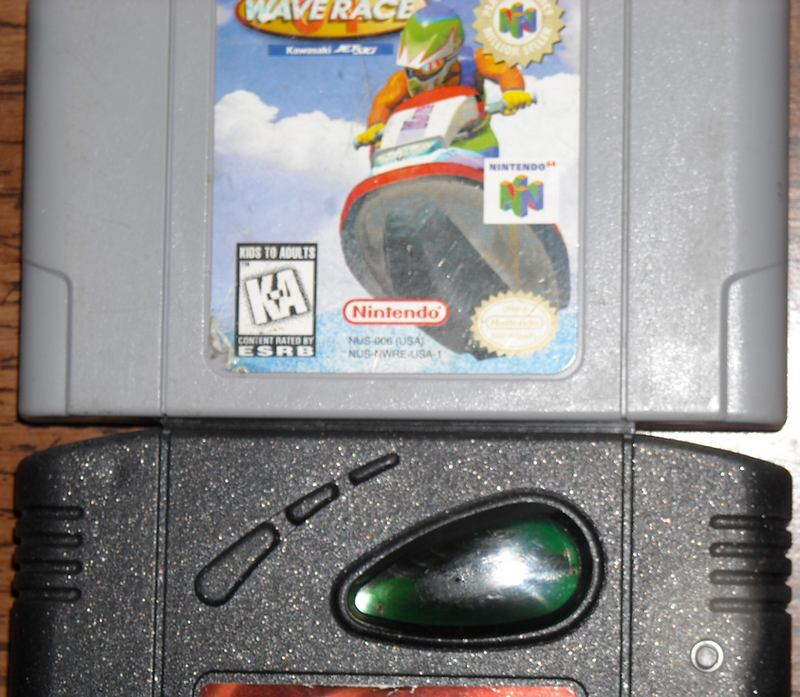 Even more good news is that, unlike its Sega Genesis 3 cousin, the Majesco Game Gear will run the Game Genie with only slight glitches, but overall runs quite well on the games I have tested it with. As the Sega Dreamcast was drawing its last breath, many stores were abandoning support for the terminally ill console. During this time I was trying to pick up as many games, VMUs and other things for the Sega Dreamcast as I could. 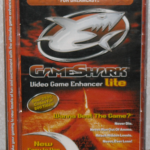 One thing that caught my eye was a Game Shark Lite, in a pretty strange looking case. As the media had changed from cartridge to disc, I was completely ignorant to how this disc would work, as I was still imagining the mating between cartridge and cheat device to be the way things needed to be done. 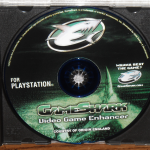 The concept was far more simple than I could imagine, you simply boot the Game Shark disc and pick from the preloaded games, pick your codes and then swap out the Game Shark disc for the game disc. Everything was smooth and easy! 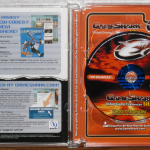 I own the Game Shark Lite, which only requires the single disc to operate, but I have seen Dreamcast Game Sharks with specialized memory cards that are required for the whole thing to work. 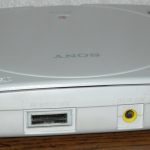 When the Playstation launched with disc based media, cheating devices had to become more clever in the way they would be utilized. 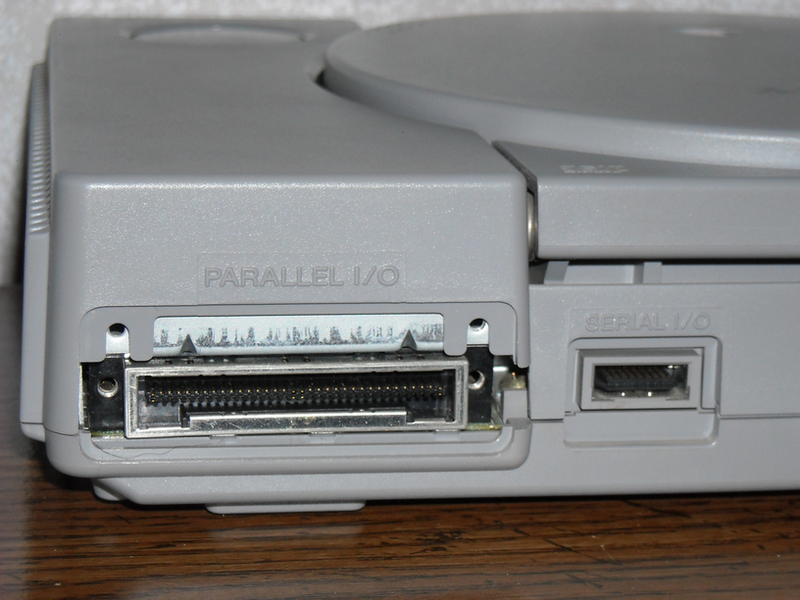 One of the first ways was to tap into the Parallel I/O port on the back of the early Playstation consoles, at least that’s what the Game Shark I own does. 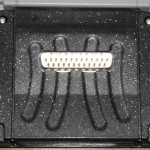 Simply plug this into the I/O port on the back and the Game Shark boots up first. 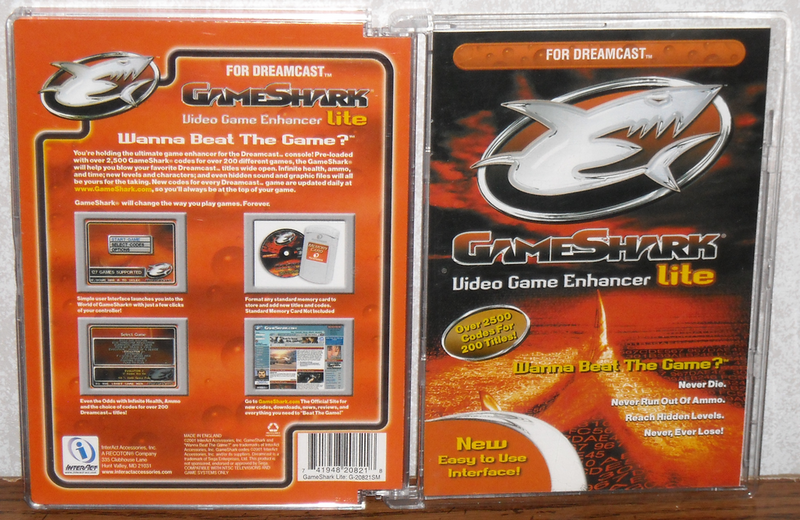 This Game Shark also has a port on the back, again I assume to allow for updates. 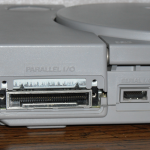 But once Sony started seeing the Parallel I/O port being used for thing they didn’t like, or license, they decided to do away with it. 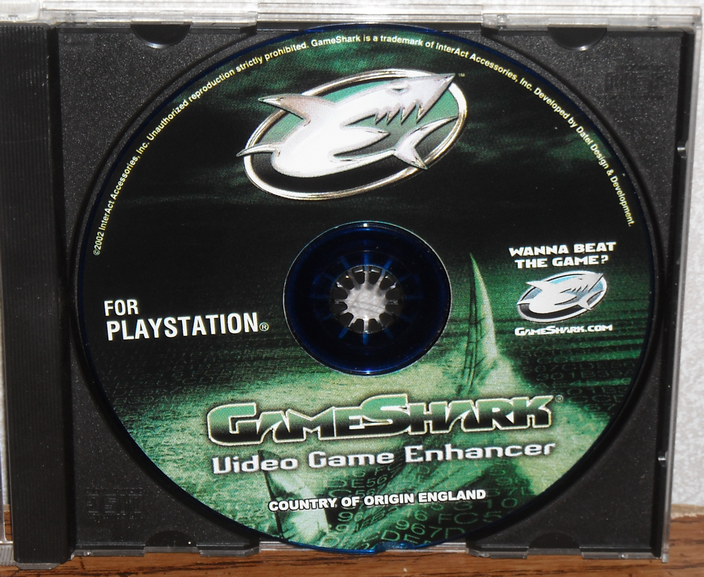 This gave birth to the disc based Game Shark, such as my Game Shark CDX. I have two different versions of the CDX, one only requires the disc and saves to any Playstation memory card, but the other requires the disc and a memory card combo. I’ve always enjoyed the simplicity of the Game Genie. The Game Genie only required a simple code and even went out of its way to avoid any confusion between the letter O and number 0, something that I’ve actually found to be a problem with one of my Game Sharks. 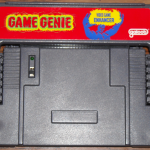 For every Game Genie other than the NES version, they offered an on/off switch to allow users to have codes at the ready, just in case they were wanting to beat a game without cheating. Most Game Sharks offered the on/off switch as well, but I feel it was put in more as a fail-safe, as I’ve found the Game Shark tends to lock up games quite a bit more easily than Game Genies ever have. 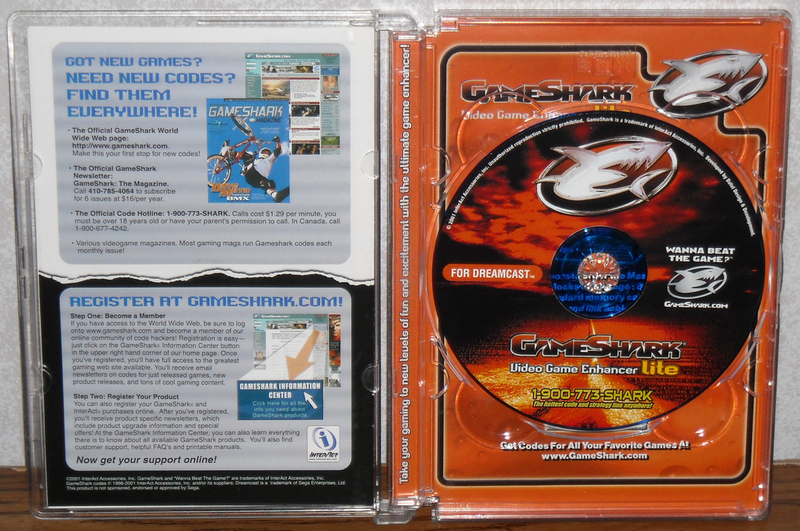 The Game Shark has an inviting interface, and the fact that offers an editable memory of codes gives it more overall appeal. 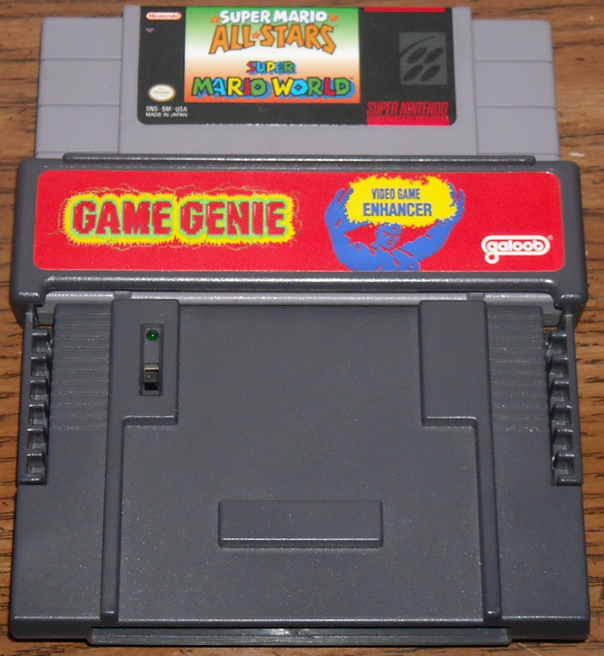 But either way, both the Game Shark and Game Genie have helped me out of binds on more than a few occasions, as well as made games more fun. 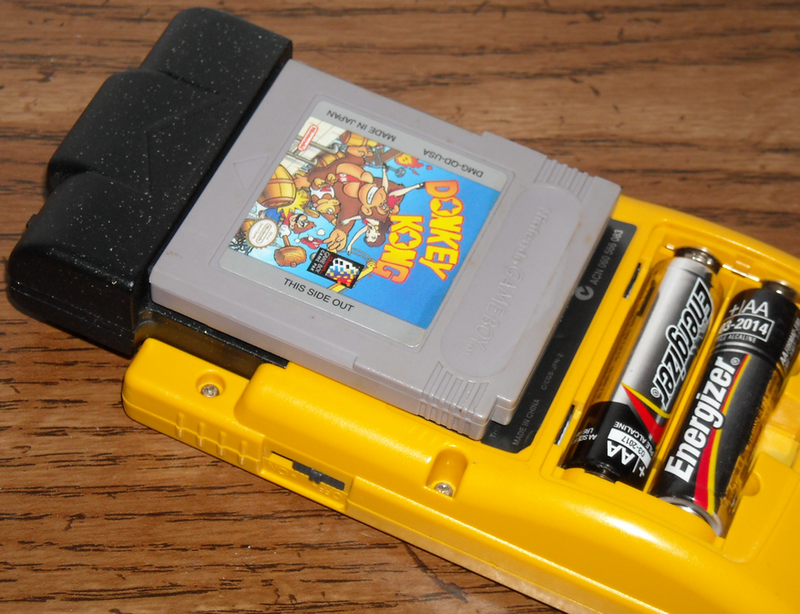 Codes for both Game Sharks and Game Genies can readily be found online, allowing anyone who finds one of these devices out in the wild to take it home and use it straight away. But as with anything on the internet, codes aren’t always to be believed and often times don’t work. But the internet has shown me that someone has released a Game Genie for the Famicom, which is something I’ll have to get my hands on for sure!